The rapid development of nanotechnology has increased fears about the health risks of nano-objects. Are these fears justified? Do we need a new discipline, nanotoxicology, to evaluate the risks? Harald F. Krug and Peter Wick of the Swiss Federal Laboratories for Materials Science and Technology discuss these questions in the journal Angewandte Chemie. "Research into the safety of nanotechnology combines biology, chemistry, and physics with workplace hygiene, materials science, and engineering to create a truly interdisciplinary research field," explain Krug and Wick. "There are several factors to take into account in the interaction of nano-objects with organisms," they add. The term nanotoxicology is fully justified. "Nanoscale particles can enter into cells by other means of transport than larger particles." Another critical feature is the large surface area of nano-objects relative to their volume. If a similar amount of substance is absorbed, an organism comes into contact with a significantly larger number of molecules with nanoparticles than with larger particles. Dose-effect relationships cannot therefore be assumed to be the same. Furthermore, chemical and physical effects that do not occur with larger particles may arise. "Whether the larger or smaller particle is more toxic in any given case cannot be predicted," according to the authors. "Clearly, the type of chemical compound involved and its conformation in a specific case can also not be ignored." Carbon in the form of diamond nanoparticles is harmless, whereas in the form of nanotubes-depending on length and degree of aggregation-it may cause health problems. It is also thus impossible to avoid considering each nanomaterial in turn. 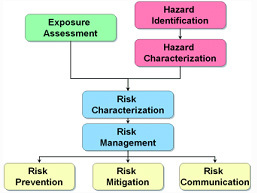 For a risk assessment, it is also necessary to keep in mind what dosage would be considered realistic and that not every observed biological effect automatically equates to a health risk. Krug and Wick indicate that a large amount of data about the biological effects of nanomaterials is available, but not all studies are reliable. Sometimes it is not possible to reproduce the specific material tested or the conditions. "By pointing out methodological inadequacies and making concrete recommendations for avoiding them, we are hoping to contribute to a lasting improvement in the data," state Krug and Wick.